Dutch serial killer Maria Catherina Swanenburg was born on September 9, 1839, in Leiden, Netherlands to parents Clemens and Johanna. Maria married Johannes van der Linden on May 13, 1868, after her first two young daughters died at a young age. Maria and Johannes had seven kids together consisting of five sons and two daughters. Their marriage ended on January 29, 1886. Maria took care of children and ill people in her neighborhood which resulting in her receiving the nickname, Goeie Mie/Goede Mie which means Good Mee. It is confirmed that Maria used arsenic to poison no less than 102 people between 1880 and 1883 and 27 died of those people were killed. 16 of the 102 people were her relatives/family. There were more than ninety suspicious deaths that were included in the investigation. About 45 of the surviving victims suffered from severe health problems after they ingested the poison. She murdered her victims to gain the victims" life insurance money or their inheritance because she had acquired most of her victims" insurance policies. 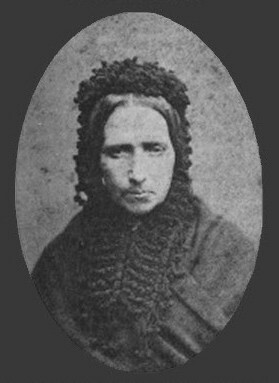 Maria killed her mother in 1880 and then her father. Maria was caught/arrested in December 1883 after she tried to poison the Frankhuizen family. She went on trial on April 23, 1885, and was found guilty of murdering three people. She was sentenced to life imprisonment in jail and at the age of 75 on April 11, 1915, in Gorinchem, Netherlands. Maria Swanenburg serial killer is a female serial killer.